I have a 16GB phone and review a lot of apps every month, so my home screen is in almost constant rotation. However, the one new app that I’ve discovered this year and has become a permanent fixture on my phone is Flickr’s revamped iOS app. Both the iOS and Android versions were almost completely redone this year to put the focus on your own images, instead of the people you’re following. Flickr also upgraded its search functions, making it virtually impossible to not find what you’re looking for. 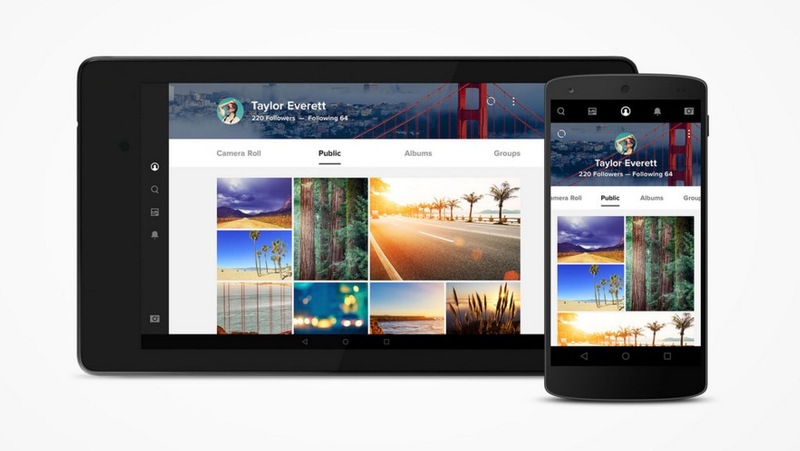 The mobile app lets you sync your camera roll to save images automatically using what Flickr calls the Auto-Uploadr. It’s essentially Photo Stream for Flickr, but it frees up space on your phone, rather than clogging it. It also identifies duplicates and removes them. Everything uploaded is automatically set to private on Flickr’s website, so you don’t need to worry about anyone sneaking a peek. Auto-Uploadr is also a good alternative for anyone who has been using Dropbox’s Carousel, which is now shuttering. Flickr’s in-app Camera Roll is perfect for people who take a lot of photos on their phone. It organizes the images better than anything else I’ve used, including the native iOS camera roll. The app also has its own camera with a host of filters and editing tools on offer. Levels is particularly good, allowing you to adjust the overall lighting of the pictures, as well as all the usual suspects – White Balance, Brightness, Contrast, Saturation, Exposure, Sharpness and Color Balance. For me, using Flickr is more about its usability than its purpose as a social network of sorts. The new designs and layouts definitely merge the app better with the website and it’s certainly more of a contender in the cloud photo services area now too. Switching to the Flickr app and deactivating automatic saving to my Photo Stream has made a big difference to the amount of free space on my permanently full iPhone. With 1 terabyte of free storage, it’s definitely worth checking out if you’re looking for a new way to free up some space on your phone, without the fear of never being able to find those precious photos again.